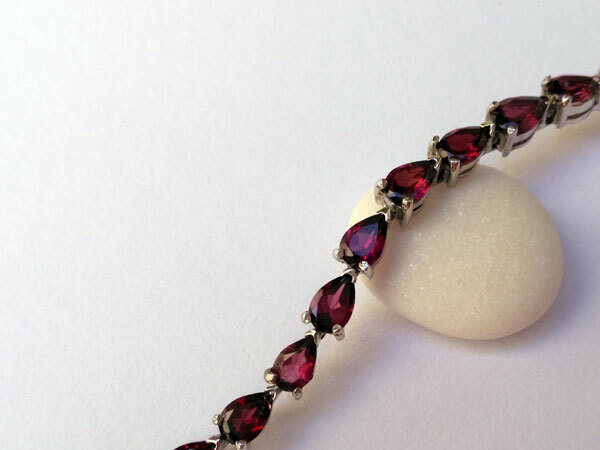 Handmade Sterling silver bracelet with red Tourmalines gemstones. 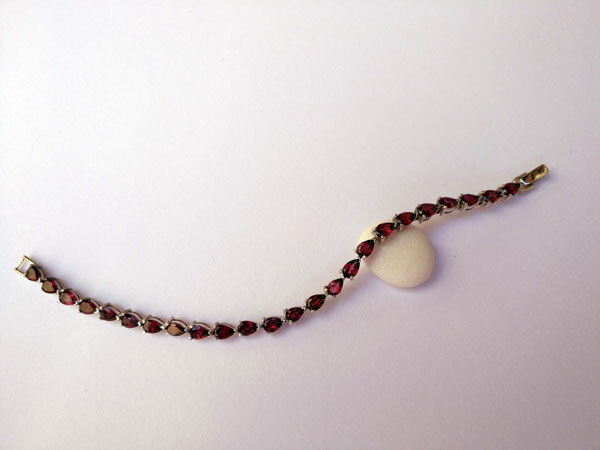 Beautiful artisan silvermith bracelet made of Sterling silver and faceted gems of red Tourmaline "Rubelita", coming from Madagascar. The gems measure 0.3" high and 0.2" wide. 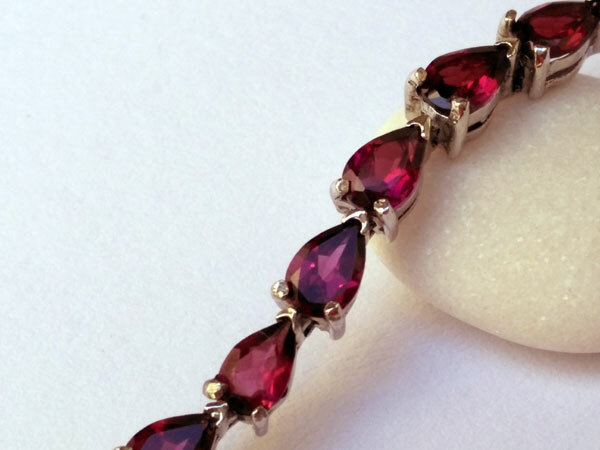 The length of the bracelet is 7".